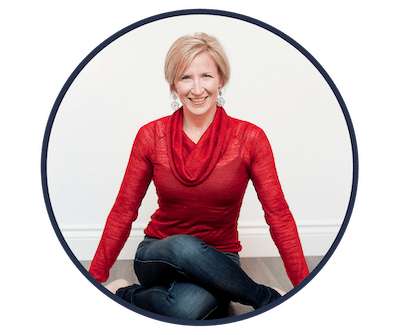 The intention of this course is to offer a theoretical and experiential integration of accessible and practical yoga methods and philosophy with evidence-informed practices to enhance overall pelvic floor health and wellness. For both men and women, our pelvic floor plays a role in many aspects of our existence that contribute to a healthy life, including breathing, bowel and bladder function, sexual function, hip and spinal health, core strategies, and more. Yoga is one of the most popular complementary health practices in North America and is increasingly becoming more recognized and valued by health organizations. It is being introduced into college programs and professional continuing education courses across the continent, as growing research suggests that therapeutic yoga can be used as an effective and safe form of complementary therapy for numerous dysfunctions, including a variety of pelvic floor dysfunctions. As such, this course also serves as an introduction to the use of yoga therapy as a complementary approach to the management of people suffering from various pelvic floor dysfunctions. This course outlines evidence surrounding biopsychosocial factors that influence pelvic floor function and explores why and how yoga can serve as a valuable adjunct to pelvic wellness and rehabilitation. Be prepared to participate and enjoy empowering, informative, and inspiring gentle yoga practices, implementing a variety of techniques that you can use with your patients or students, including pelvic floor awareness practices, visualization, mindfulness meditation practices, breathing practices in a variety of yoga postures to help promote pelvic floor relaxation, mindful movements and yoga postures coordinated with varying breath cycles to help facilitate pelvic floor musculature engagement and excursion, and examples of language and philosophy to potentially enhance more effective cueing. The techniques offered are intended for immediate use in the clinic or yoga studio setting. In addition to learning, you get to enjoy the added benefit of some well-deserved self-care as you participate in these pelvic floor focused PhysioYoga practices and experience what it feels like to nourish all aspects of your being, using a biopsychosocial model of health. 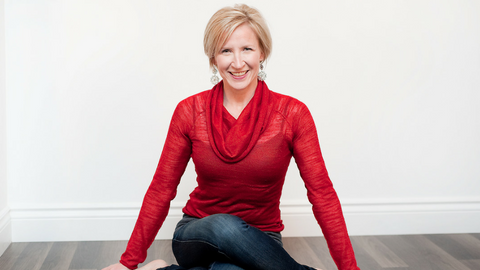 Whether you are a pelvic floor physiotherapist looking to expand your current approach or a brand-new practitioner wanting to learn more about the pelvic floor, this course is meant to help support you on your path to learning more about how yoga can address pelvic floor health in an evidence-informed manner. A 39-page workbook, which you can download and follow along throughout the course. Access to an exclusive private forum with Shelly. Ask Shelly and other course participants your questions. A power point lecture, videos, and audios of yoga practices and patient exercises that can be shared with patients via Embodia. Lifetime access. You can return to this course at any time. If any material is updated or added, you will have access to the new content. Briefly review anatomy of pelvic floor muscles (PFMs) and landmarks of the bony pelvis. Learn 11 roles the pelvic diaphragm (PD) or pelvic floor (PF) plays in overall health and wellness and why gaining skills in addressing PF health is important and valuable for any movement practitioner working with clients. Briefly outline the chakra system, focusing on the first 2 chakras and how they may relate to PF health. Outline 4 categories of pelvic floor dysfunctions. Outline biopsychosocial factors that can influence pelvic floor function and performance. Review perspectives on the debate of the effectiveness of teaching or cueing isolated kegel exercises, using an evidence-informed approach. Develop a practical understanding of mula bandha (‘root lock’) in yoga and its intentions, comparing potential similarities and differences to PFM engagement. List 4 different paths of yoga, with a focus on exploring the 8-limbed path of Raja Yoga, and how addressing each limb supports and contributes to a biopsychosocial-spiritual approach to pelvic floor health and rehabilitation. Define and understand the yogic pancha maya kosha model of health as it relates to pelvic rehabilitation and describe the similarities to modern health care’s biopsychosocial-spiritual approach to rehabilitation, health, and wellness. Learn how the respiratory diaphragm and pelvic diaphragm work together as a coordinated team to contribute to pelvic floor health and wellness. Understand scope of practice as it relates to addressing pelvic floor health for those practitioners who do not perform internal pelvic floor exams or treatment and when to refer to a physiotherapist who specializes in pelvic floor health. Understand the current research surrounding yoga and pelvic health and the gaps in research. Understand the difference among yoga, yoga therapy, and PhysioYoga. Techniques to enhance pelvic floor awareness (including yoga postures, visualization, breathing practices, awareness practices, mindful movement practices, and meditation techniques). Techniques to enhance pelvic floor relaxation (including breathing practices, yoga postures, mindful movement practices, meditation practices, awareness practices and ways to incorporate yoga philosophy). Evidence-informed activities that can facilitate PFM engagement in coordination with various breathing sequences, visualization, awareness practices, yoga postures and sequencing, and a variety of selected mindful movements. Activities to enhance balance and foot awareness, offering a potential connection to the pelvic floor. A variety of meditation and mindfulness practices that address focus, concentration, awareness, relaxation, and self-regulation skills. Gain a general understanding of how yoga methods and philosophy might be used as an adjunct to support optimal pelvic floor health for people who may be suffering from a variety of PF dysfunctions, including disorders associated with pelvic pain, pelvic organ prolapse, and bowel or bladder dysfunctions. Four Case Studies are presented in this course. opportunity to experience some well-deserved self-care. Audience: Rehab professionals (PT, PTA, OT, OTA, AT, ET, Kin, etc. ), movement specialists, yoga teachers, yoga therapists, and those interested in learning more about yoga and pelvic floor health and wellness. Over-Recruited Pelvic Floor Muscles: Why? So What?